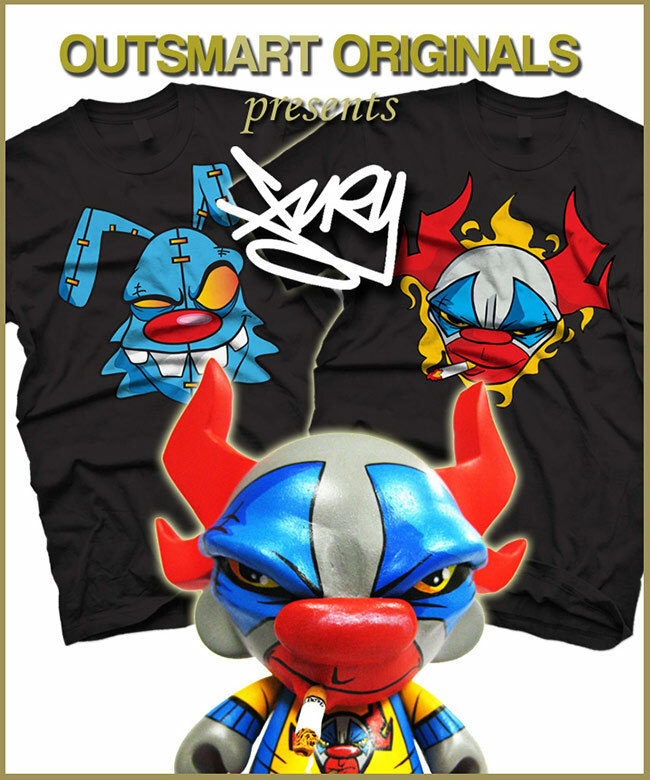 JFURY x outsmART originals: WINNING! 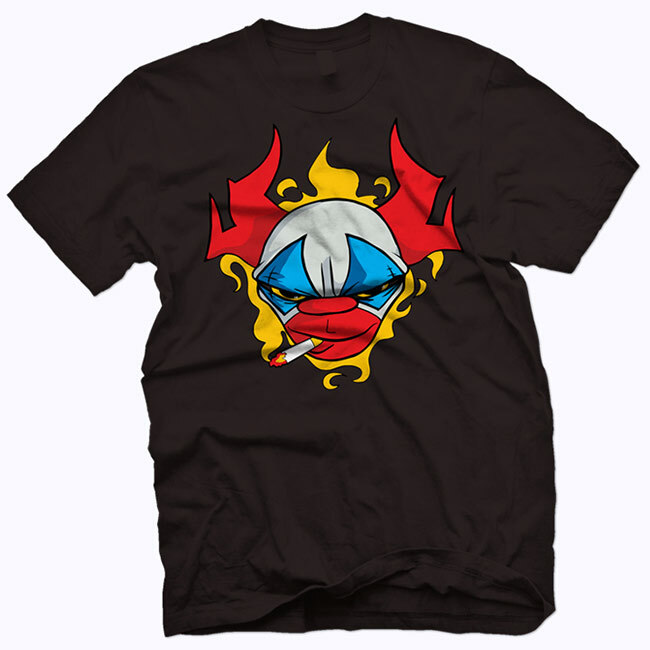 March 2013 - outsmART originals is thrilled to pull back the curtain of the big tent to present the colorful and creative designs of artist JFURY aka Justin Phillips. 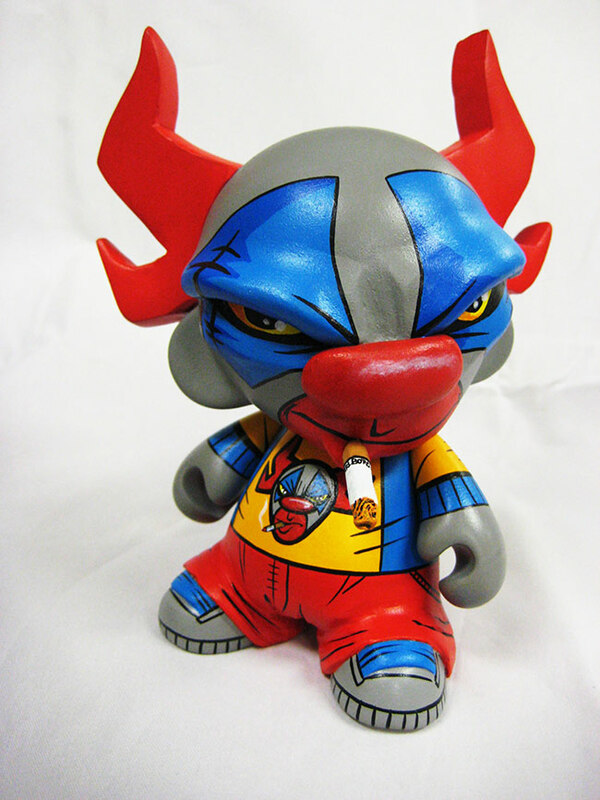 This California based artist has been blowing up the scene with his clown/voodoo/warrior inspired custom art toys. 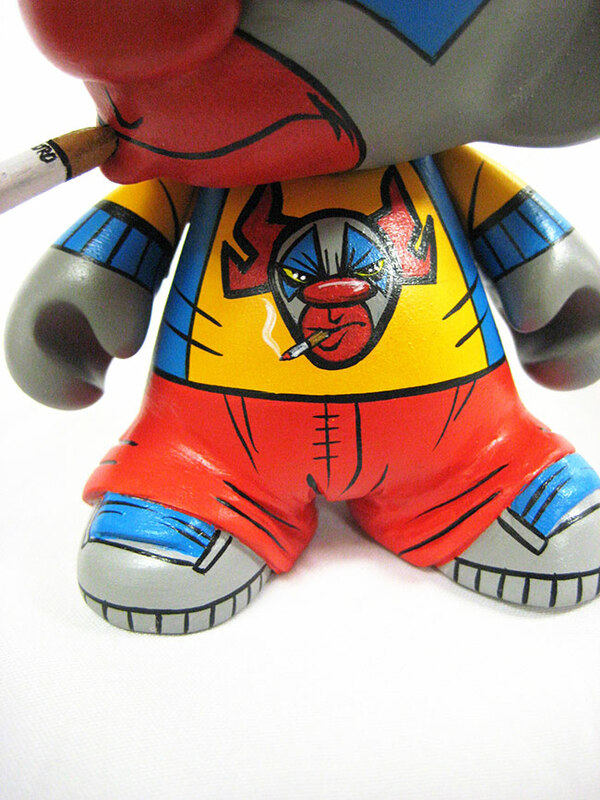 Being featured by Kidrobot and other designer boutiques on numerous occasions, JFURY continues to blur the lines of funny, horror and style. 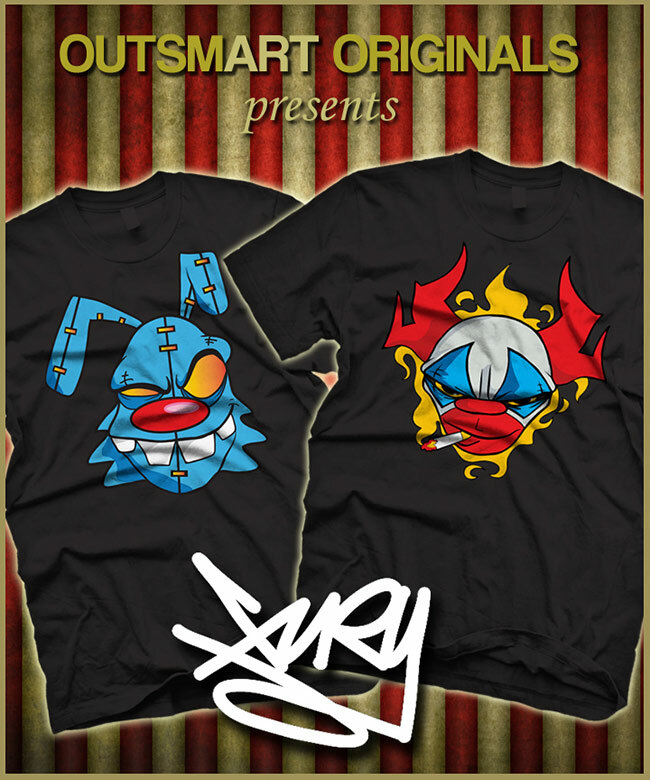 outsmART originals proudly presents two different t-shirts this week that illustrate the artists' style. 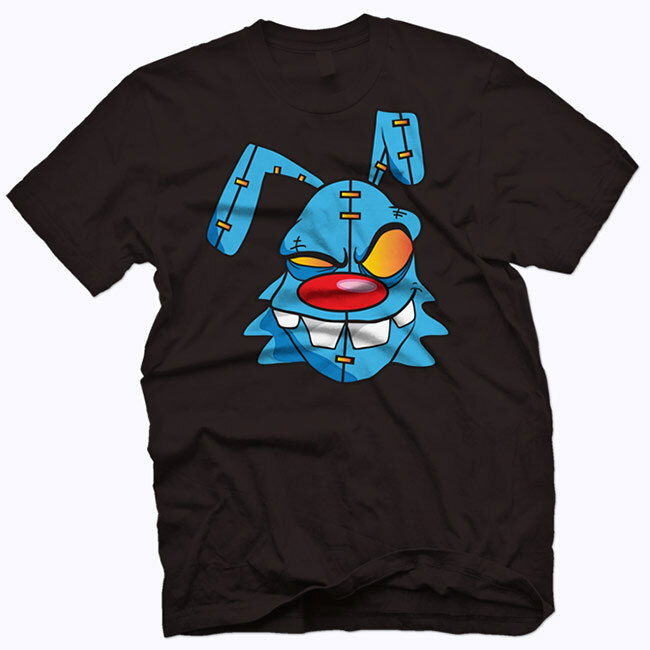 Voodoo Bunny and Smokin' Clown will be screen printed on black ultra cotton tees for both men and women and shipping at the end of March.